On Earth Day, we find ways to help the Earth. Trina plants trees with her class. She forms an Earth Day club with her friends. 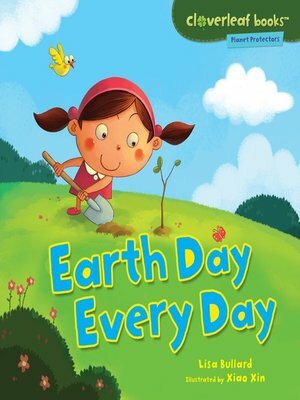 What can you do to make every day Earth Day? Do your part to be a planet protector! Discover how to reduce, reuse, recycle, and more with Tyler and Trina in the Planet Protectors series, part of the Cloverleaf Books™ collection. These nonfiction picture books feature kid-friendly text and illustrations to make learning fun!